"Fantastic Beasts and Where to Find Them"/Warner Bros.
"Fantastic Beasts and Where to Find Them" tells the story of writer Newt Scamander's adventures in New York's secret community of witches and wizards, 70 years before Harry Potter reads his book at Hogwarts. Big Blue Marble Bookstore in Mount Airy will host a "Fantastic Beasts and Where to Find Them" weekend at the end of July. There will be free activities for a range of ages. 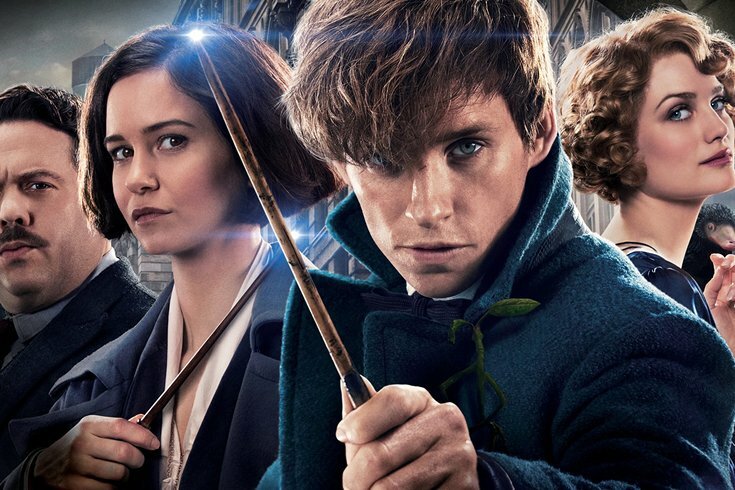 "Fantastic Beasts," a spinoff of the "Harry Potter" film series, follows the adventures of Newt Scamander in 1926 New York City. It was produced and written by J.K. Rowling and was inspired by her 2001 book of the same name. Below is the schedule of events, including a movie screening and discussion of the wizarding world. The youngest fans, ages 0-3, can enjoy songs and games. Kids 5 and older can go on a treasure hunt in the store and then build a Niffler to take home. Discuss the type of magical world you would build. Kids, teens and parents are all welcome. Play for pride and prizes. Enjoy the movie along with popcorn and a selection of treats from Kowalski Quality Baked Goods. • How does "Fantastic Beasts" fit into the wizarding world? • Now that there are five scheduled "Fantastic Beasts" movies, what might happen next? • Will we still love Dumbledore when this unfolds? • How will Newt earn his Order of Merlin? Teens and adults can share their wildest or best theories. Here is the event description: With exactly one character out of hundreds identified as gay, J.K. Rowling’s world is way more heteronormative than the Muggle world. And issues of race and racism in the Wizarding World have grown even more troubled as Rowling writes wizard history onto Native American and African cultures. We love Potter, and we want our whole selves represented in the world of wizards. Join us for a heated discussion and debate. The event is geared toward adults and mature teens. Bagels, tea and juice will be provided.